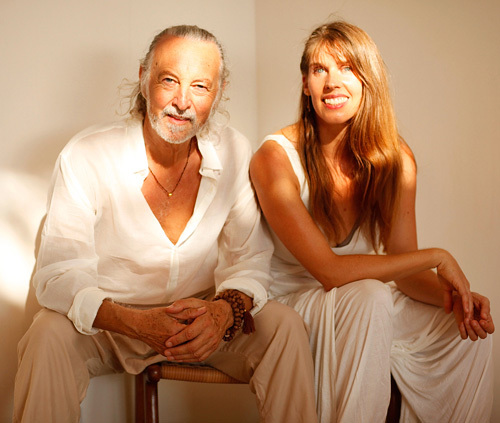 Deva Premal & Miten began their journey into love and music in 1990 when they met at Osho’s ashram in India. Their worldwide concerts and best-selling albums have since introduced millions of Westerners to the joy and deep relaxation found in chanting mantras from the Eastern meditation traditions. German-born Deva Premal is a classically trained musician who grew up with Eastern spirituality, singing mantras as bedtime lullabies. Miten, originally from Britain, spent the 70s in the world of rock ‘n roll, opening for Fleetwood Mac, Ry Cooder, Lou Reed, and others. Deva’s debut album The Essence, which rocketed to the top of New Age charts around the world when it was released in 1998, introduced a unique musical genre, offering the ancient mantras of India & Tibet in contemporary musical settings. 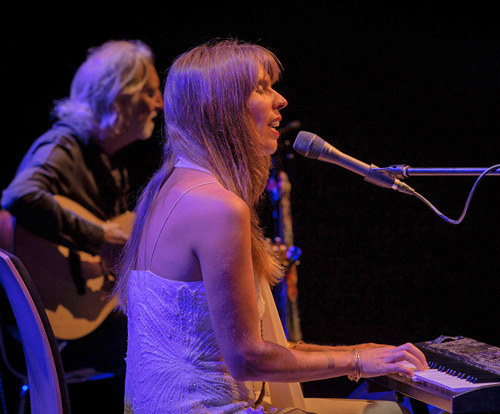 Since then Deva & Miten have released a string of acclaimed CDs with sales exceeding one million, and their concerts have moved from yoga studios to audiences of thousands in concert halls and music festivals around the planet. Deva and Miten have also offered the mantras online in two free meditation programs: 21-Day Mantra Meditation Journey and The Spirit of Mantra, and many of the mantras featured are also offered as Mantra Beads. The programs attracted over 200,000 participants and created a worldwide wave of mantra meditation.